02/01/17 – Back in Wales again! I’m in Cardiff again for a few days! 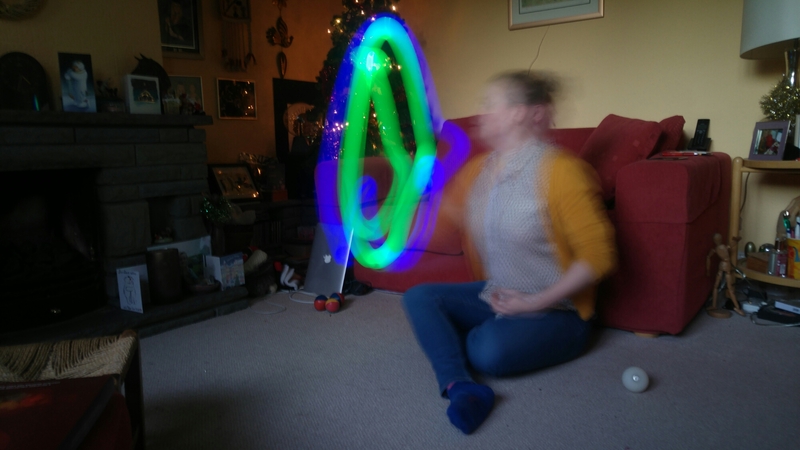 I had the time booked off anyway and it was such a running visit at Christmas, I decided to come back down to hang out with my mum, see some friends, and of course practise my new love of juggling! One handed juggling in this photo – I’m totally getting better!